This powerful and wonderfully rich oil painting has real 'room presence'. 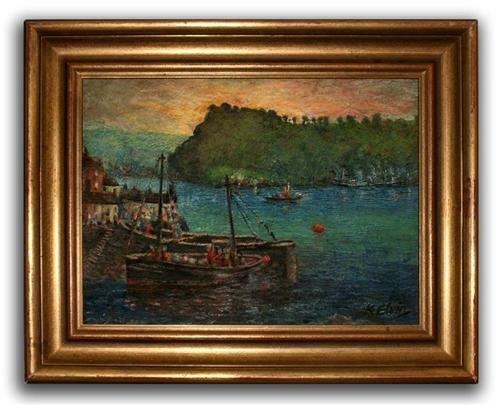 The subject is a West Country harbour at captured at dusk. There is an additional delight on the reverse of the canvas where the artist has sketched a couple walking by the harbour side. We may surmise that one is the artist...notes beneath the sketch read 'With Mary Riley, Devon/Cornwall '78'.